Summertime means more that picnics and beach outings. There are a great number of summer celebrations as well: birthdays, weddings, engagements, and numerous seasonal parties. Getting together with loved ones helps us stay connected. It’s often good form to bring a gift to these events. If you’re scratching your head to think of creative gift ideas, here are some of the hottest items out there that may fit the occasion. This carefully selected list was assembled by the How Was Your Day? blog. Check out How Was Your Day? for more lifestyle ideas on Midwest Living with West Coast Style. No matter how busy you may be, these are some great ideas that make it easy to experience the joy of giving and connect with friends and loved ones this summer. 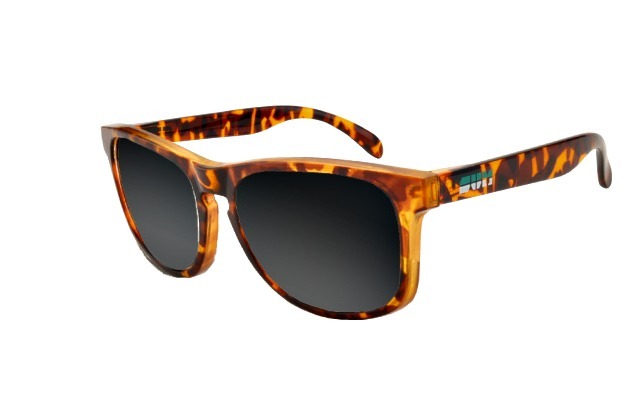 SUM Company – SUM Company lets you build customized sunglasses from start to finish. And I mean completely. Choose two arms that can be the same or different, a face plate and of course the lenses. Options range ultra modern to styles a little more classic. Even better – they’re great quality and start from at $25. 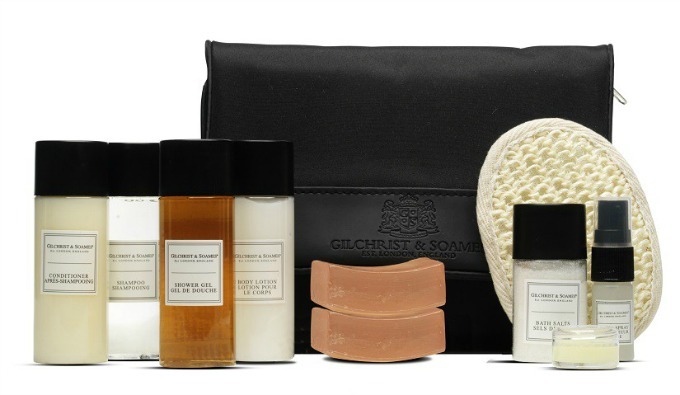 Gilchrist & Soames – For the frequent traveler, amenities from Gilchrist & Soames make great gifts. The company’s products range from soaps and shampoos to bath soaks and body washes. There’s something for everyone. The London Traveller is an ideal, TSA friendly option. $28.50. Josh Cellars – Josh Cellars is a small wine company developed by a sommelier who spent 30 years in the Napa Valley region. Named after the founder’s father, Josh Cellars wines are bold and unmistakable. You can even get a custom-printed label including a personalized message to the recipient. Pretty cool, eh? Winestyr – Who doesn’t like a refreshing glass of wine while relaxing on the back deck? 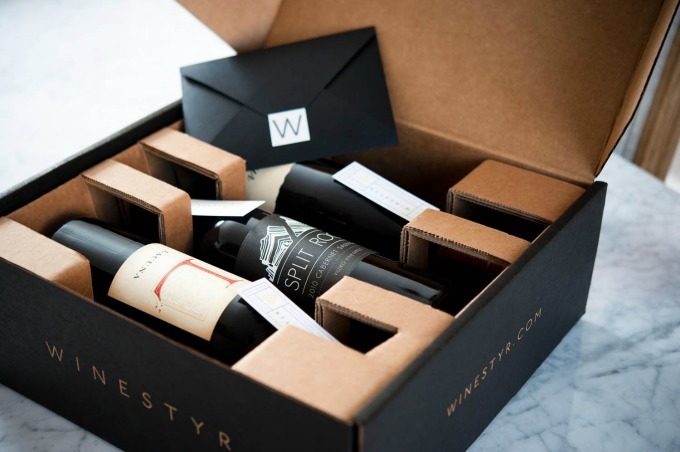 Winestyr partners with small wineries to introduce you to some really great wines that you may otherwise never discover. Winestyr describes it as “Farm to Table, but for wine,” and we couldn’t agree more. Bottles start at $11 and go up from there. Moppin Pot with Brush – We all know how important it is to baste our foods while grilling. Usually we use a mug or a plastic cup. No more! The Moppin Pot with Brush from Tastefully Simple is one of those gadgets that you never knew you wanted, but can’t live without once you have it. About $30. Gourmet BBQ Sauce – Every good cook dedicates a section in their refrigerator to various sauces. Well get ready to add two more to the collection – Sweet Mustard Moppin’ Sauce and Smoky Bacon BBQ Sauce. Yeah, I said Bacon BBQ Sauce. Starting around $9, from Tastefully Simple. Cookie Do – Who hasn’t eaten the cookie dough while you’re making cookies? We ALLL have. Apparently, it’s full of dangerous things like raw eggs. Now, we can have Cookie DO without the risk. 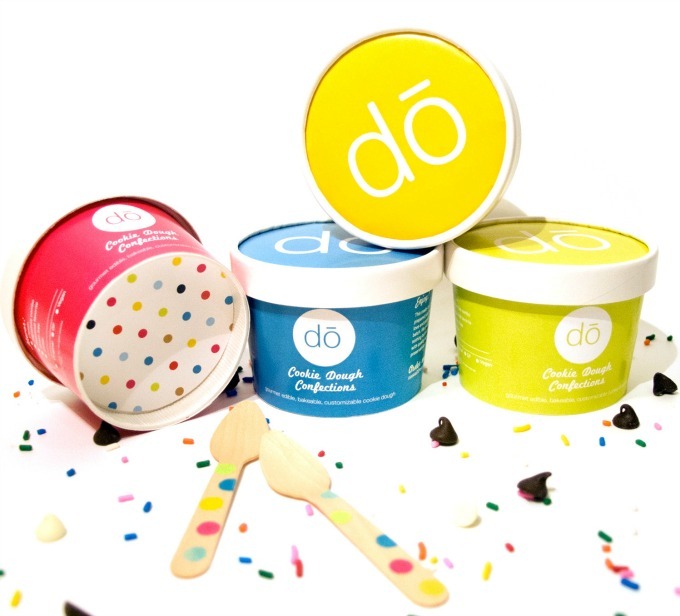 Cookie Do is safe to eat exactly as it is – and tastes just like raw cookie dough! It can be added to your favorite foods like ice cream, or even baked. Whoa! This is a game changer and a tasty summer gift. 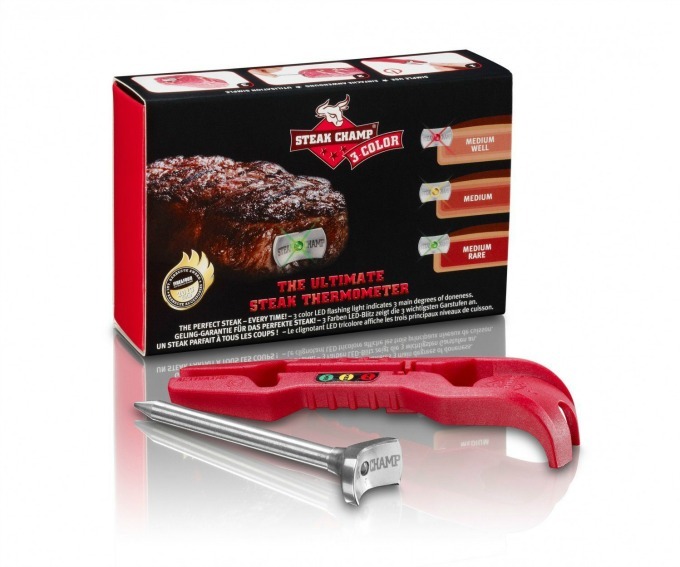 SteakChamp Three Color – Are you tired of eating either really overcooked steaks or steaks that are still mooing? Most people’s ideal doneness is somewhere in between. Never guess about when your steak is done again with the SteakChamp Three Color. It has an LED light that changes color with Medium Rare, Medium and Well Done. AND – it stays lit until the steak has rested and re-absorbed all the delicious juices. Perfect steak at home, every time! $59.95 at Amazon. Sugarwish – Sugarwish lets you to send a custom candy assortment to that special person on your list. Do they only like Cotton Candy flavored Jelly beans and green M&Ms? Sugarwish has ya covered. They also have unique finds like SweeTart Building Blocks, ½ inch Jawbreakers, and Key Lime Saltwater Taffy. Packages start at $25 for 4 types of candy. Spy Optic – Your eyes are one of your most important organs yet we often choose to wear cheap eyewear that doesn’t really offer any protection. 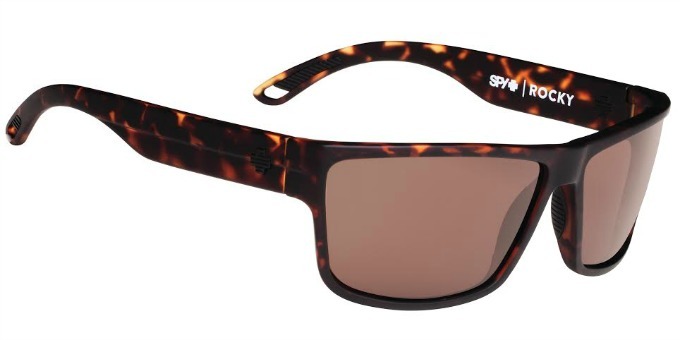 SPY Optic’s sunglasses have a revolutionary technology that helps block the harmful UV rays, while allowing the good long-wave blue light to come through. They also have discreet rubber inserts at the temple and the nose so that they stay on and don’t slide down. Shown is the Rocky style, starting at $100. TabletOke – Karaoke is always a fun summertime party option. 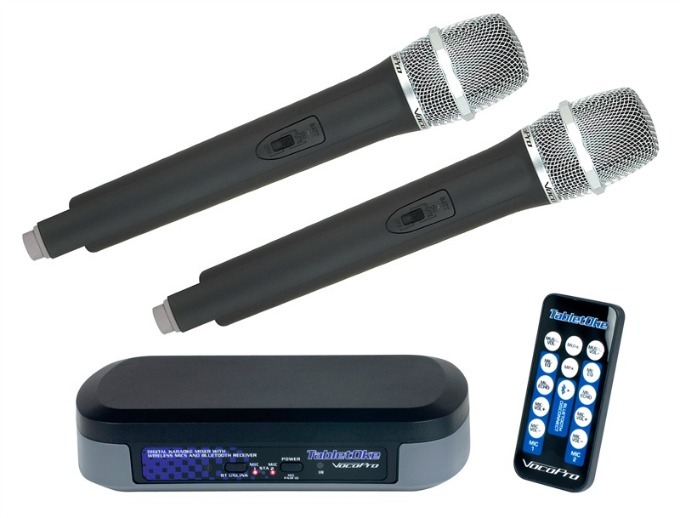 TabletOke has a mixer and two microphones, and allows you to stream karaoke content from the web. Now, just about any song is fair game! VocoPro has been making karaoke systems since 1991, so they know what they’re doing. $150 at retailers and music stores. Guitar Instructor Lessons – Learn to play guitar from several pros, all in the comfort of your living room. There are more than 10,000 guitar tabs, 1,000 play-along tracks and 1,000 video lessons. This is just a small portion of what your recipient will receive for just $9.99 a month. $10! Perfect for the beginner, or the experienced guitar player in your life. 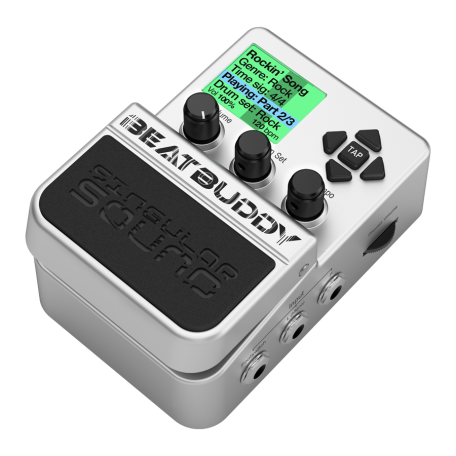 Beat Buddy Pedal Drum Machine – Want to add a little drum beat to an outdoor celebration? The Beat Buddy makes it fun and easy. It’s the first pedal drum machine and allows you to create new songs as well as share what you’ve already created. You can also download new content in just about any musical or drum kit style. Pretty amazing! Beat Buddy starts at $299. Motorola Moto X Phone – If you have a friend who’s an Android user, then consider the Moto X. It’s beautiful and has great features like a 1080p screen and quad-core processing. I really like the ability to flick my wrist twice to activate the camera. So handy when you want to capture life’s impromptu moments. Good sound quality and runs fast with decent battery life. 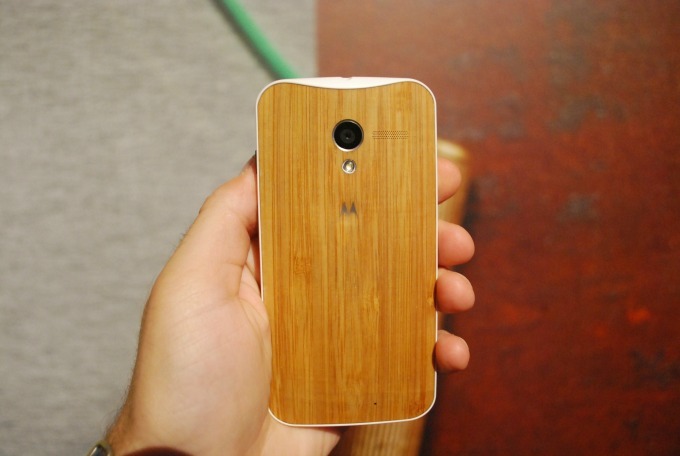 The Moto X is also customizable, so you can build your own phone with features like bamboo or football leather that anyone will appreciate. Starting around $400. Moto 360 Smart Watch – Smart watches are all the rage and the Moto 360 Smart Watch is a fantastic option. It works with a smartphone and allows you to access various functions, all on your wrist. Its sleek styling makes it simply look like an awesome wristwatch, not necessarily a smart watch. There’s also a built-in pedometer and a heart rate monitor. The Moto 360 Smart Watch is fully customizable, with different faces and bands. Starting at around $250. Looking to make a big impression? Then you’ll want to consider one of these big gift ideas? 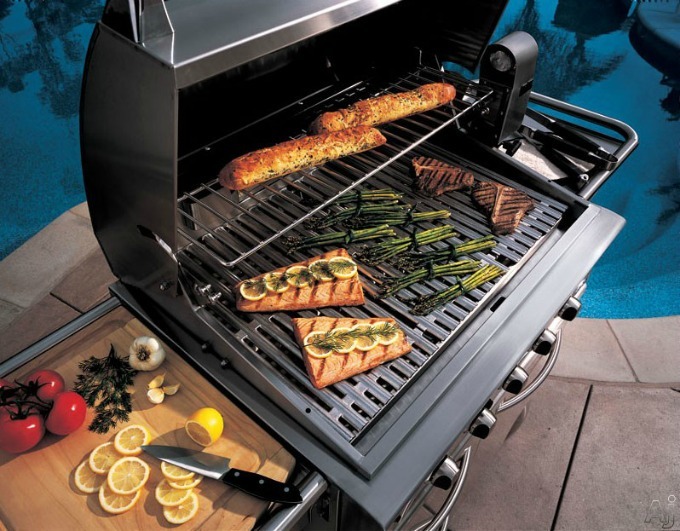 DCS Grill – Who doesn’t want a really amazing grill? DCS grills are the stuff of dreams and the choice among celebrity chefs, including Karen Mordecai, Ludo Lefebvre and Charlie Palme, to name a few. 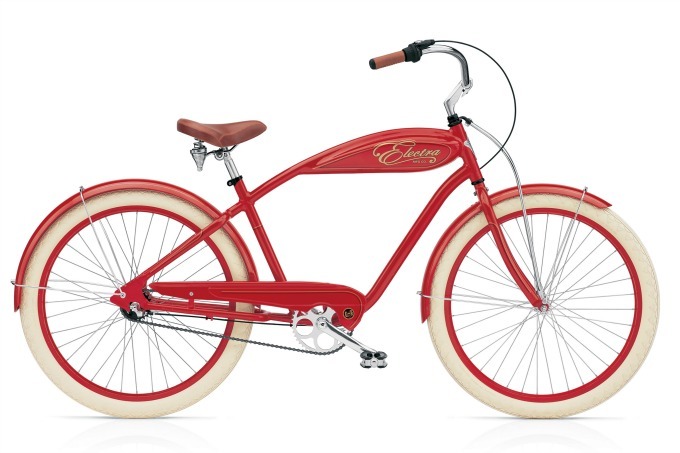 Electra Bike – A thoroughly modern machine with distinctive retro styling, the Electra bike is a show-stopping beauty. It’s ergonomically designed for comfort and to help reduce fatigue. You can even choose between single gear models (fixies) or multiple gear models. Everyone would love an Electra bike. Heck, I’d really love an Electra Bike! Which of these great gift ideas is your favorite?